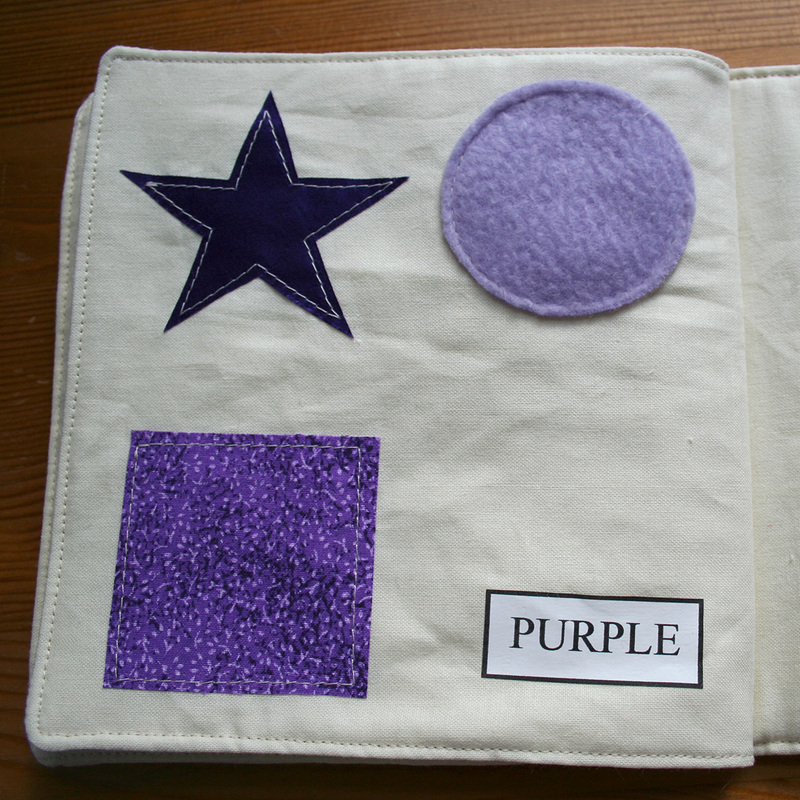 My youngest niece has a birthday this month and I decided to make her a cloth book. I wanted it to be simpler than the one I made for my little guy though, partly because she is only one and partly because I knew I wouldn't have time to make something that detailed. 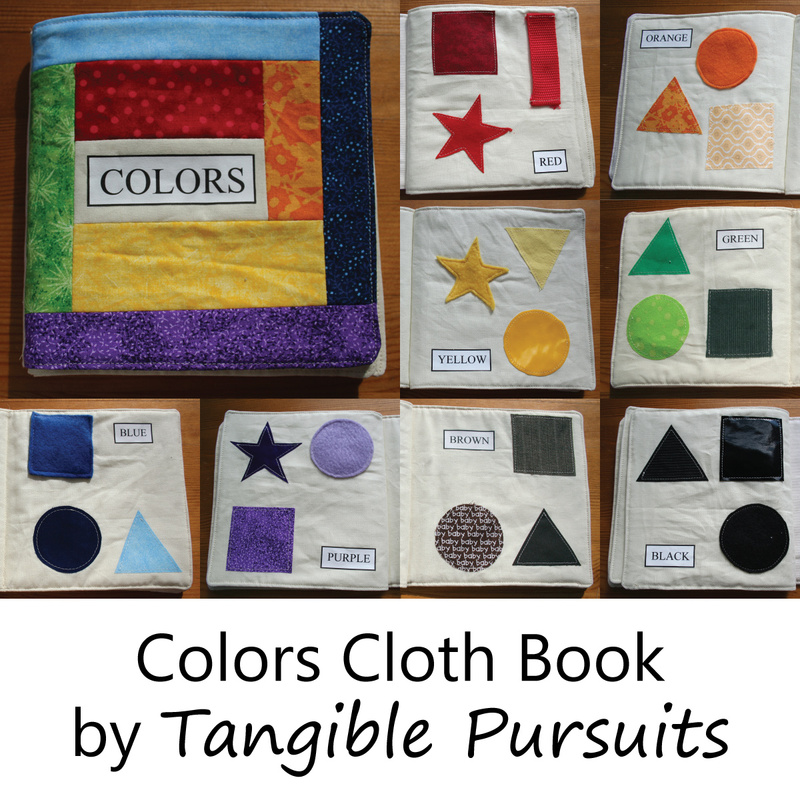 I decided to make a colors book, using several scraps of fabric for each color. That way it could be a scrap-busting project as well as a nice gift. Because I sew all different kinds of things, I have scraps of many different kinds of fabrics. 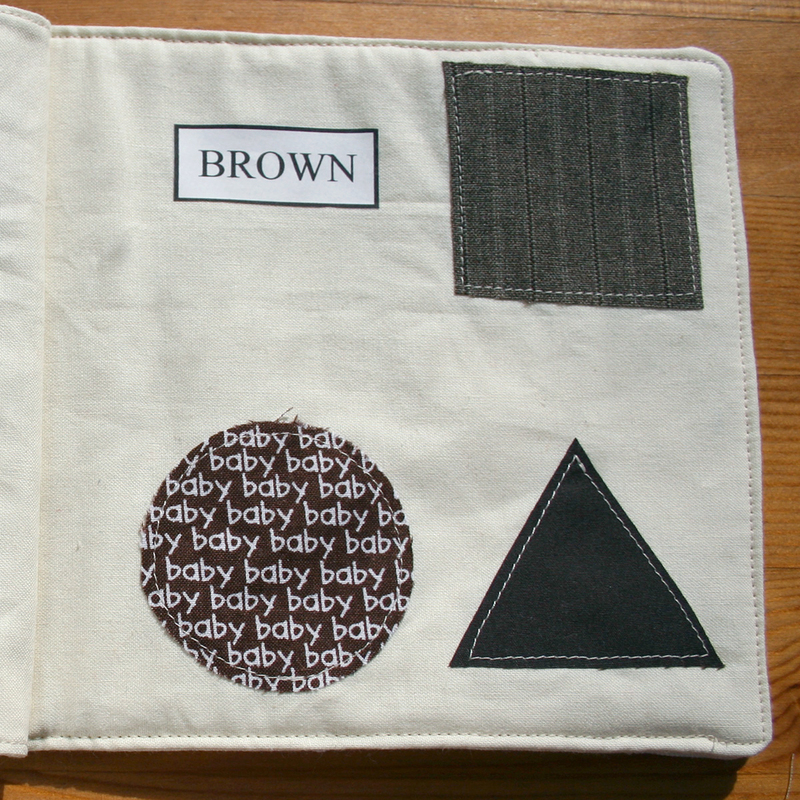 I thought it would be interesting to use different kinds of fabrics in the book to create different textures to provide a richer sensory experience for my niece. I used scraps of fleece, satin, vinyl, knit and corduroy as well as quilting cotton. 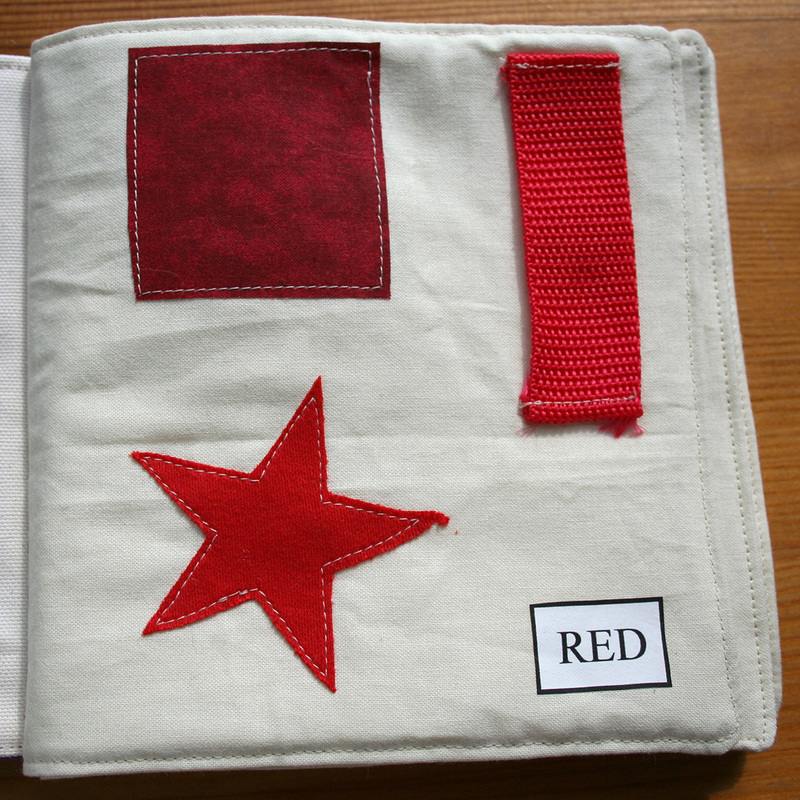 On the red page I actually used a piece of webbing leftover from a pre-blog tote bag project. Fleece provides a nice texture contrast to the quilting cottons. The yellow circle is a scrap of pleather from a Batman costume I made for the big guy three years ago. If the fabric was woven, I applied wonder under to the back and then I cut the scraps into simple shapes using freezer paper templates. I ironed the woven fabrics onto my pages and pinned or glued the others down temporarily. Then I machine stitched around the edges of each shape. 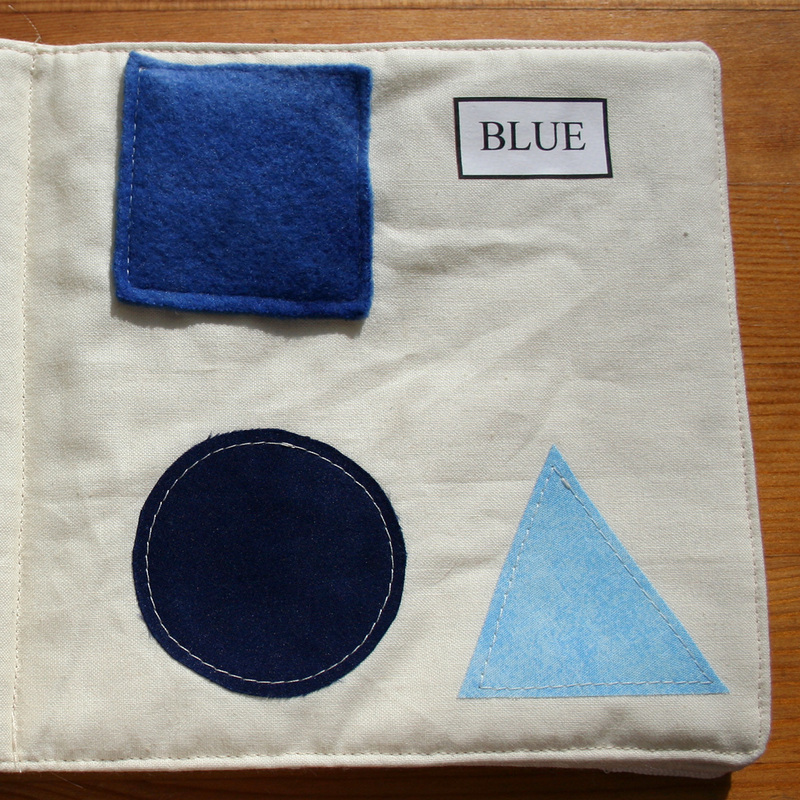 The pages were made of a lightweight canvas. I cut the pieces of page fabric 7" x 13.5" so that each piece of fabric had two pages on it, with the finished page size being approximately 6"x6" after accounting for the seam allowances and loss of some of the middle of each two page set due to the binding of the book. 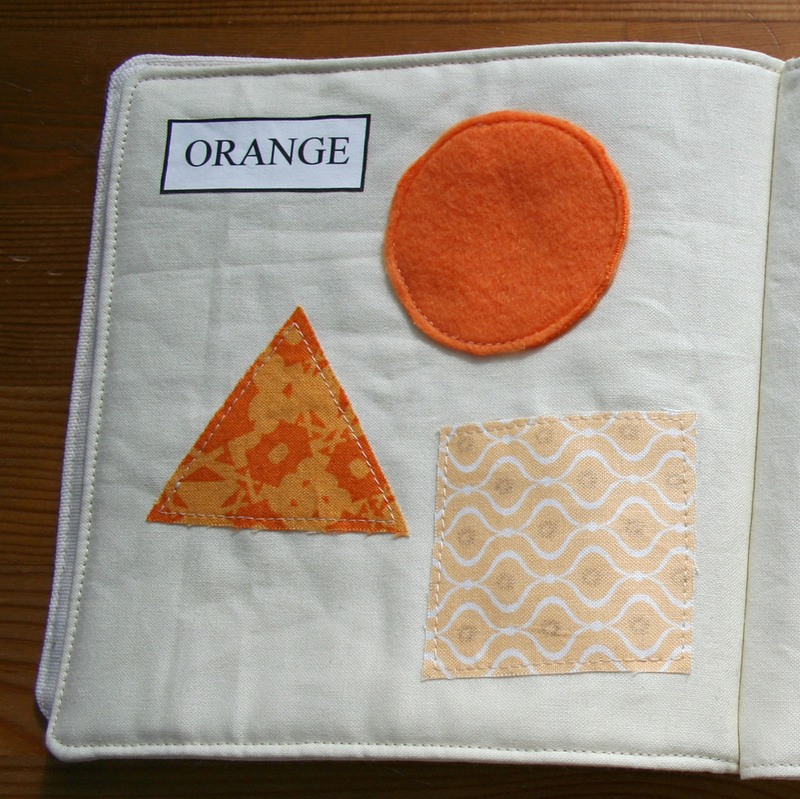 Because of the way I was planning on sewing the pages together at the end, the first page and last page (red and black) were on one piece of fabric, then the second page and second to last page (orange and brown) were on the next piece of fabric and so on. 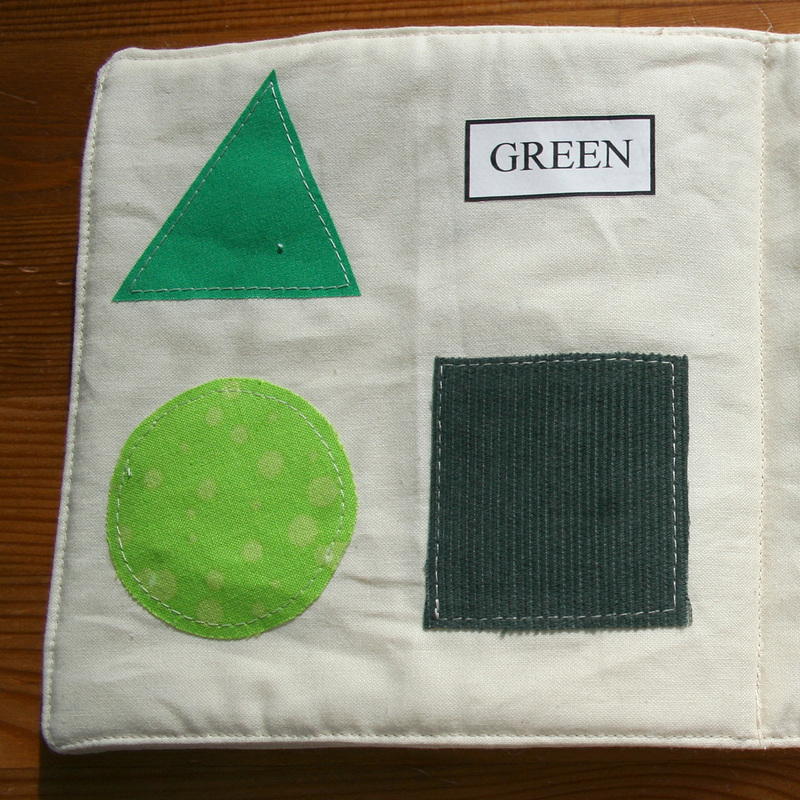 After all the scraps and color words had been applied to each two-page sheet, I sewed two sheets right sides together (red/black to orange/brown and yellow/purple to green/blue) with a piece of batting on the outside, leaving an opening for turning. I clipped the corners and turned right side out and stitched around the edges, closing my gap. 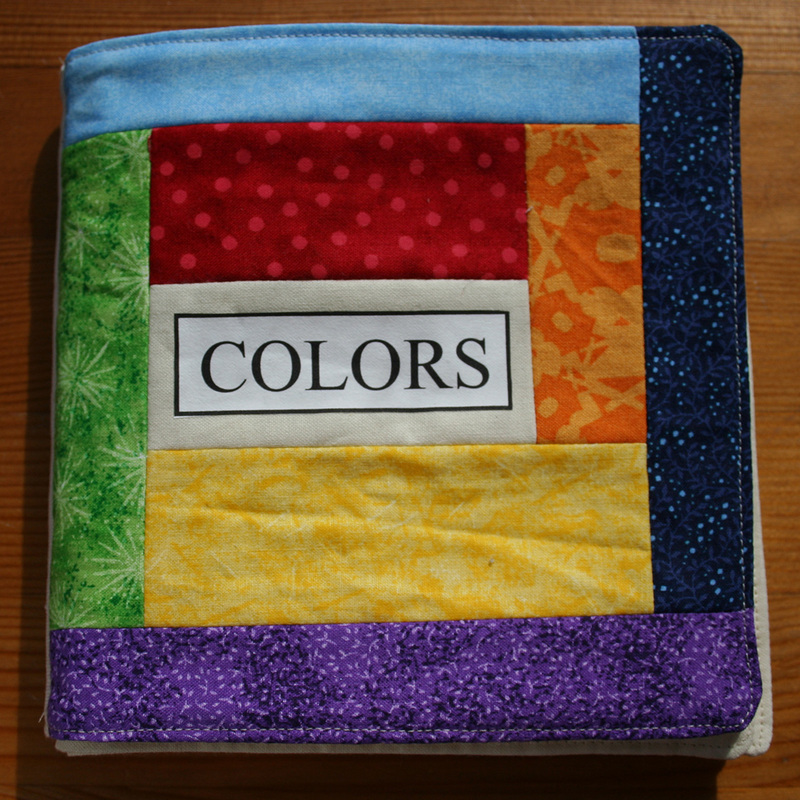 For the cover I sewed together scraps in rainbow order, log-cabin style around the title. 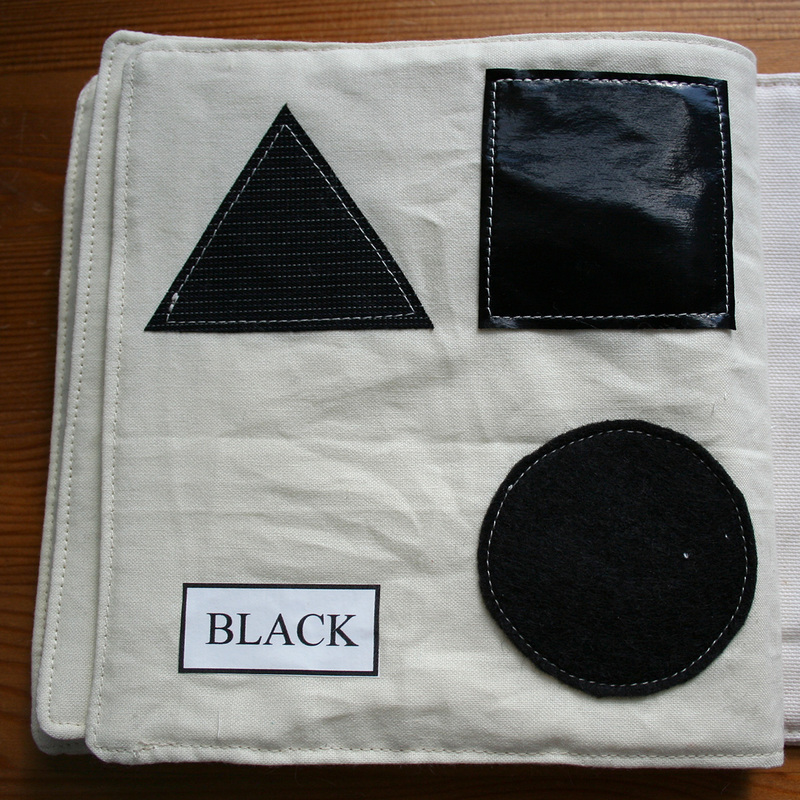 I used a heavier weight canvas for the inside and back covers and sewed the outside and inside covers right sides together with batting, just as I did for the other pages. Finally I stacked the pages on top of eachother and sewed down the middle. I was able to do this on the machine since there were only three page sets to sew together. If you've read this far I assume you are a pretty dedicated reader of this site, so I wanted to let you know that you will probably see fewer posts than usual from me over the next several months. I have taken on an additional, non-tangible, commitment that is going to take up a lot of what had previously been my sewing and blogging time. 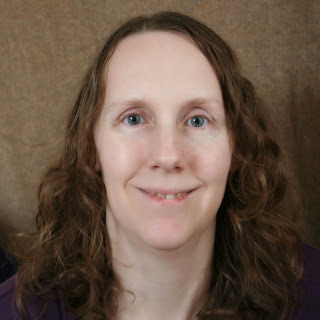 At some point in the future I hope to be able to devote more time to sewing and blogging again, but for the immediate future you will probably only see about one or two posts from me each month. 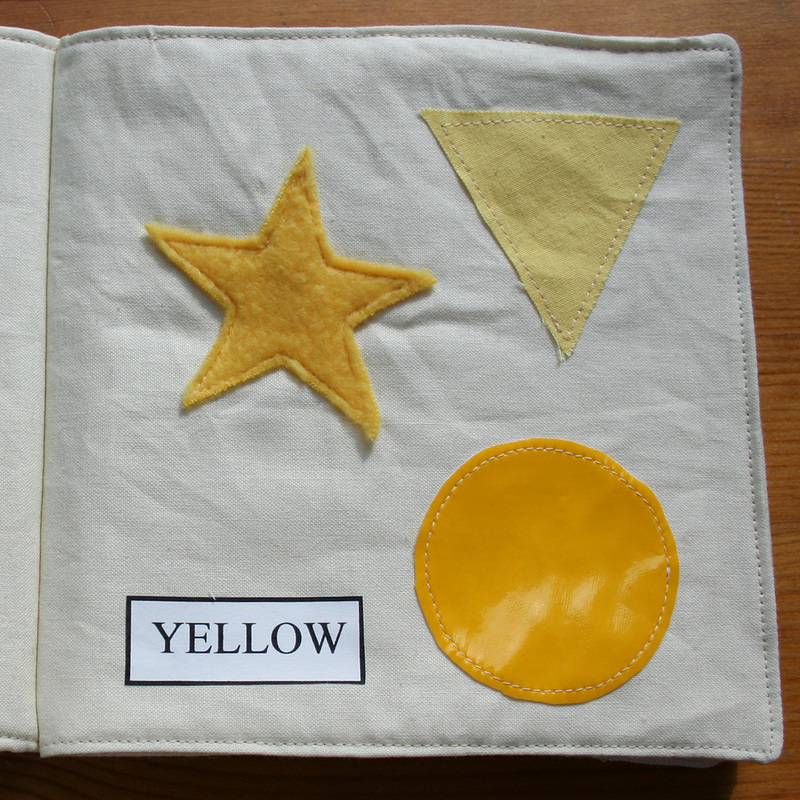 Love this book, especially the differences in tactile feeling!